Which TEFL Should I Get To Work In Japan? Is a TEFL worth the money? Will a TEFL help me get a job in Japan? What is the Best TEFL for Me? The TEFL (Teaching English as a Foreign Language) certificate is really for anyone who wants to secure a career in teaching English anywhere in the world. Above you see just some of the questions we receive often at Live Work Play Japan. We hope this blog post will help you answer those questions. Have you ever thought about getting a TEFL course? Maybe you were told you needed one to get a teaching job abroad? 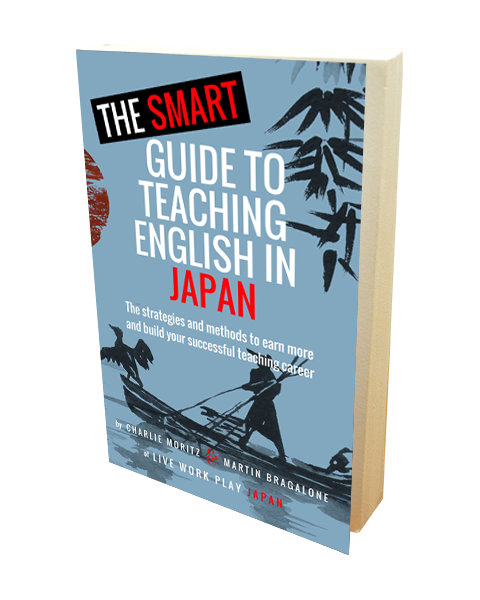 We already wrote about getting a TEFL as it will certainly help both native and non-native English speakers to procure better paying jobs in Japan and around the world. Now I’m going to update you with my recent experience taking an Online TEFL with ITTT. Charlie noted that a TEFL was an advantage in helping him get better paying and more fulfilling jobs in Japan. It also helped him to be a better teacher and be able to understand the academic background of a lot of what educators like us have to teach in Japan. For many years, I myself never got at TEFL. It was always something I told myself I would get ‘soon’ or ‘next year.’ You know how that goes. Then again, I had the Japanese Language Proficiency Test level 1 and thus I focused more on a career in translation than teaching in Japan. Charlie, on the other hand, is starting his own school with Diego, who also wrote the forward to our book. Honestly, we did the best research we could online as well as asking around with other teachers and we found it really hard to determine which TEFL among the many you find online are the best. If you search on Google for “Best TEFL” you will find quickly that there are almost no unbiased search results. Nearly every page that comes up is a blog post by a TEFL provider. From what we can tell thus far, even though there will be nuanced differences in the delivery from both online and offline TEFL providers, for the most part no one in Japan or Asia will care all that much which TEFL course you get. With so many schools asking for teachers to have a TEFL, you would think there would be a universally accepted standard for measuring the effectiveness of one TEFL education vs. another. Other than possibly word of mouth about one certificate carrier being potentially better than another, I do not know of any such standard. In particular, as there appears to be no universal world governing body over TEFL providers, there can be no set standards for the TEFL. I am sure each provider does their best to best prepare their students to go abroad and teach. Who decides though what methods are “in” and what ones are “out” in the classroom? From what I can tell, the market determines these sort of things in a decentralized fashion. As in, there is no central body who determines that TEFL provider A teaches the “correct method” while TEFL provider B does not. As there are no standards, please take everything we write here and in our book about the TEFL with a grain of salt. Maybe one day there will be an international TEFL association that will set standards about how the TEFL is to be taught to upcoming teachers, how you should be tested to determine if you are deserving of the TEFL certificate and then how you as a teacher of English as a foreign language should instruct your ESL students. While I agree that the CELTA is well regulated as it can only be administered by Cambridge University who created it, I wonder about the teeth of these other organizations to impact the TEFL industry. That being said, it is good to see that there are some organizations at least trying to set standards. If you have information to the contrary, please write us or comment below. This industry is in need of much more transparency. Help us help bring clarity about the TEFL to the world. Part of the problem isn’t really a TEFL industry problem. It is simply an English language problem. Who has the authority to say how English should be spoken and written? There are many important agencies we could look at and we certainly could not ignore the influence of pop culture. Hollywood, CNN and BBC probably have a bigger impact on the English language today than Oxford University or Harvard. Thus, the TEFL industry governance may be simply a reflection of the decentralized governance we see over the English language. Teaching English in Japan by foreign nationals has likely been going on for hundreds of years, maybe as early as the Warring States period in the 1500’s. There were a few hundred years during the samurai era where most nationalities were kept out of Japan (with exception to Dutch and Chinese traders) and then there was the periods of war between Japan and many western countries during the two great world wars of the 20th century. Afterwards however, from the Americans and Brits to Poles and Filipinos there have been ESL (English as a Second Language) teachers coming to Japan. The Olden Days: No Degree, No Certificate, Ok! For the vast majority of the later 20th century, most of Japan was in such dire need of English teachers, that even those without a bachelor’s degree were able to get sometimes high paying jobs teaching English in Japan. Not only is it harder now to get a job in Japan as a foreign national without a university degree, many times you may be denied a visa for most jobs. By the 2000’s, it has now become fairly standard that even for native speakers of English to be asked to show their university degree or certificate copies when both applying for ESL jobs and for work permits. Does a degree in humanities prepare a native speaker from New Zealand to teach better than a Brit with a degree in Geology? Or, does being a native speaker with a degree prepare you at all to teach Japanese to listen, speak, read and write English? These and other questions have lead to many countries in Asia enforcing the need for English language certificates like the TEFL, CELTA and masters degrees in EFL (English as a Foreign Language) such as the TESOL. For example, in China and Thailand, some report being denied a visa to teach English without these certificates. Currently, the TEFL situation in Japan is a bit more complex. We are going to have to be brutally honest here. The politically correct thing to say is nothing on this subject that I am about to mention, but that would be doing you, as a reader, a disservice. Discrimination based on nationality in the education industry is not just common place, it is often explicitly said and written. What is a ‘Native English Speaker’ Anyway? Who are the Native English Speakers? It is completely normal for English teaching job adverts in Japan to explicitly write that only native English speaker applicants from a specific list of countries will be considered (even though this is technically illegal in Japan as it is discriminatory). Usually this list is something like the following: The USA, the UK, New Zealand, Australia, Canada and sometimes South Africa. As you may know there are many more native English speaking countries in the world like Jamaica or the Philippines. In Japan, you will often run into people from all over Europe teaching English. From the Finns and the Germans to the Italians, there are plenty of Europeans teaching English in Japan. Some have a C1 or C2 level of English on the CEFR scale (The Common European Framework of Reference for Languages) which you even argue is a higher level than most native English speakers may score. My good friend from Moscow was even teaching English at a university in Tokyo for a while. The guy has a PHD and maybe knows the etymology of English words better than I do. There is nothing wrong with non-native English teachers teaching English. We advocate for this very group on our blog as often as we can. 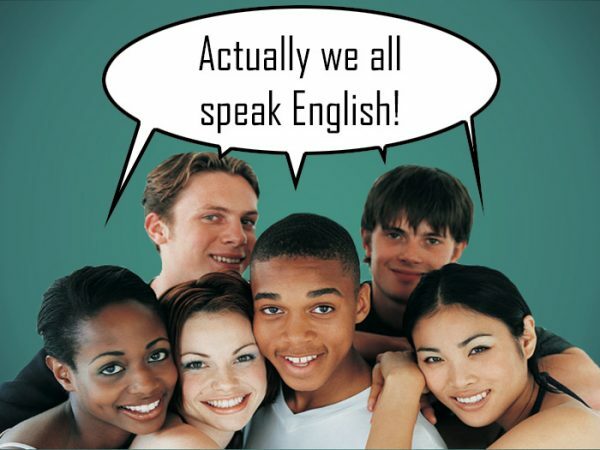 Many may as well be native speakers. Now, non-natives may need a TEFL to apply for the same jobs as natives. This will set them apart and show that they have invested in learning how to teach English. 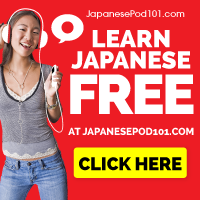 When you are a Filipino or other non-native English speaker in the eyes of many Japanese employers, you already have a lot going against you. The TEFL can really help you level the playing field. That being said, I do know of a few teachers from the Philippines in Japan who do not have TEFL’s or CELTA’s, so I do not want to say it is always necessary. But it is getting harder and harder today as new teachers come to teach in Japan all the time. Now as the visa restrictions are loosening for Filipinos and other ASEAN member states as we wrote about in a previous article, the influx of people wanting to teach in Japan will only increase. Meanwhile, there are plenty of happy teachers already in Japan who are ready to continue their contracts. Thus what this means is competition for English teaching jobs with decent pay will only increase. For these reasons, I predict that within the coming years, Japan will likely go the way of its Asian neighbors and require a TEFL or CELTA minimum to teach English in most, if not all schools. 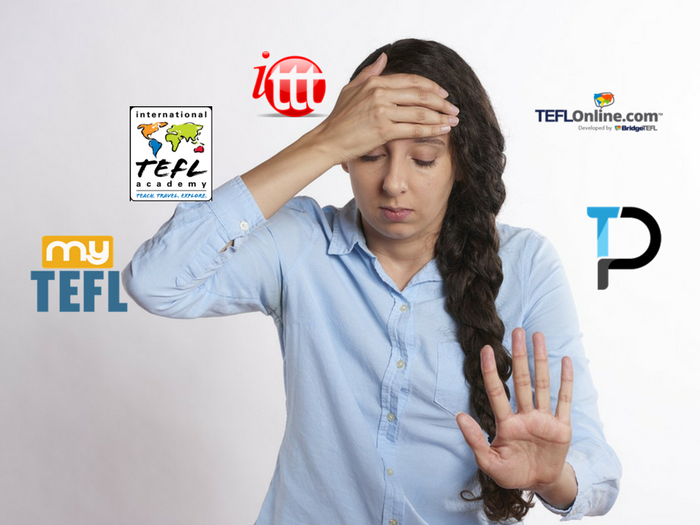 Who is the TEFL for? You want to teach in Japan, but if you come from the Phillipines or Indonesia, Japanese people would say you are not a native speaker of English. You might ask, “You are saying that I should get a TEFL to improve my chances of getting an English teaching job in Japan?” Yes, that is correct. Even for the so called “native English speakers,” we would say yes because a TEFL will help you. It shows you are serious about teaching English as a career. You are not just some backpacker roaming around Asia, you are a serious professional and you need to be compensated adequately. 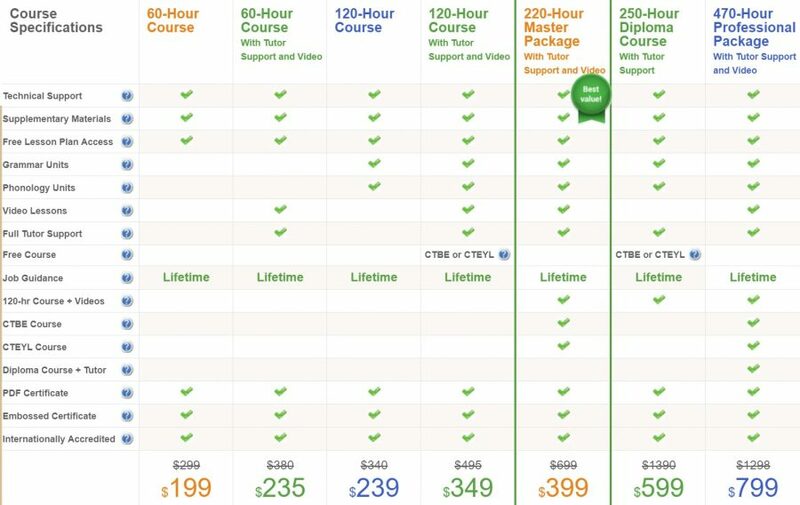 Bare minimum Hours necessary: We suggest a 120 TEFL course. This does not always mean you need to actually spend 120 hours studying or watching videos. Much less if you are quick with your tests and quizzes. The cost of an online and in-class hybrid TEFL certificate: you may pay between $500 and $1,250 or more depending on the country you do this in and the brand. At these prices though, you may as well just go for a CELTA which is taken far more seriously than a TEFL. Only problem may be the time commitment. We will get into the CELTA a bit more below. I cannot speak about other providers much, but I thought ITTT was pretty comprehensive of the main issues you will deal with as a teacher. The teachers in the video courses are professionals. They speak clearly and you can tell, these guys know their stuff. I got the sense that with the wide range of subjects covered from linguistics and teaching methods to general English units would be better understood in longer courses or in class courses. Here is the main ITTT TEFL menu you can select from. I personally took the 120 course with tutoring. I never really used the tutor so I don’t know how much that could have helped or not, but the option is there if you want it. The video course for the most part gave you everything you needed to know for the quizzes after each unit. Some units you had to read the PDF textbook only. And some units you needed both. I thought that was a bit odd. I was getting into a good flow with the videos. So I thought it was strange that some videos would be on subjects not even mentioned in the quizzes that accompanied the unit. If I had one big gripe with ITTT, it was the ESA method they promote. I don’t know if this is standard or what. Again, this is why the TEFL industry as a whole seriously needs some standards. I have taught on and off for nearly 8 years now. I am a total language nerd. I often go down rabbit holes reading about the ER (Extensive Reading) method, Krashen’s Comprehensible Input theories and TPRS for example. While I do not claim mastery in all of these languages, I have studied well over a dozen at this point. Needless to say, I have some of my own ideas about how I want to teach a language. I never once encountered the Engage Study Assessment method. It was presented briefly by ITTT among other more inductive and communicative methods (which I by far favor and have used in my humble opinion successfully for years). From that point on, the only “correct way” to organize your lessons was to follow this ESA system. I guess that was good for me to have to conform to a method I would otherwise not have chosen myself. I was just a bit perturbed that if I organized lessons in the quizzes that were in keeping with methods I follow, no matter what I wrote in defense of them, my quizzes were scored down. I eventually gave up and just used the ESA method. The idea is that you start the class with some sort of “Engage” stage. You get them thinking in English. This makes total sense. It can be a speaking activity, a song or a brief presentation by you. The “S” is for Study. Here you will teach the students something specific. Be it grammar, phrases or vocabulary. If you will have writing in your lesson, this would likely be the place to have it. Then you are to end with at least a third of class time or more spent on “Activation” where you use the newly learned vocabulary, phrases or grammar. Maybe an information gap game – a game where students have to talk to each other to get information that they can only obtain by learning from another (e.g., have the students go around and ask each other about their families). The reality though is that even 2 hour lessons don’t need to look like this. Once you have enough materials you have gone through, it sometimes is not necessary to focus so much on studying new things. You may do more engagement and activation. Or, you may need to get through some difficult material one day and then need even more time another day to review still (S). If you have the same class groups over a period of time, you will know exactly what I mean. You want a TEFL certificate, then you gotta follow whatever the TEFL provider prescribes. Also, the final test for ITTT in my opinion was way too detailed. I had to turn in my lesson plan 4 times before it was approved. I had to measure out every minute of a 60 minute course for a junior high school elementary level (what that means is actually quite vague and can vary a lot from class to class). It was funny to me that you could find lots of people’s final lesson plans they submitted for the ITTT final test with a simple Google search. I could have pretty much just copied those but I decided that was not only dishonest but I needed to have pride as a teacher in my own ideas. By the third attempt, I was starting to regret that decision. In any case, I have not and likely will not ever implemented the lesson I made. By the way, no one at all has asked me in my university to present an ESA lesson plan. As you can tell, I am not a big fan. Even though I expressed my dissatisfaction with having to conform to the ESA method above because it did not fit my style, I know it was good for me to learn about another way of organizing my lessons. Most people taking the TEFL have never taught before. For those people it may be very useful as they haven’t get got anything to compare it with. There are so many teaching methods out there, really the more you learn the better it is for you. For new teachers, you need to start with something. Having a framework to design your lessons with will help you. With experience, you will start to incorporate more varieties of methods in your lessons. Eventually, you will develop your own style. Then, the process will start again and you will start to incorporate new principles and methods in your lessons. This may be because of external pressure from your colleagues, the set curriculum or the students. It may even be because you get bored with the same old methods. In any case, learning new methods is always a good thing and you should take every opportunity to embrace the new. I Got a Job At One of The Most Prestigious Universities in Vietnam Thanks to having the TEFL! Honestly, the entire ITTT online TEFL course only took me about three weeks to get done. I know it says 120 or 150 hours, but you can get through it a lot faster than that if you are even reasonably intelligent. And now I teach at a university in Ho Chi Minh City and it was all thanks to the online certificate I took. In Vietnam, Thailand, China and many countries in Asia you cannot even teach English at a public school off in the mountains without a TEFL anymore. It was a requirement to get this university position that I have a TEFL. I knew it was possible got a job at a university. I said to myself, I am not going to teach English just anywhere anymore. If I do it, I want to work part-time and I want to do it at a university. Being a part-time teacher does not necessarily mean I work less than “Full time” teachers. A full-time teacher has set hours and must hit a minimum of those hours per week. As a part-time teacher, I can choose what days and hours to work. Since I still translate Japanese for my clients in Japan online, I knew a regular full-time position was just not for me. It is awesome that I have the freedom to choose. I am really glad I got a TEFL. I can earn disposable income in the local currency while I get paid in dollars and yen online. Getting a TEFL for me was about expanding my options, and it worked. People buy online courses all the time and do absolutely nothing with them. I would know. I probably have bought over 30 in the last two years alone, and I only finished a handful. While the other courses taught me skills and how-to-do’s. The TEFL course I took got me a position at a higher learning institution. Getting a position in a network is not really something you can even quantify with money. As my mentor in Japan used to always tell me, once you get a job at one university, it instantly gives you the credibility to work at others. That is part of why I refused all other offers I had until I finally got an offer to work at a university. While he taught me this with regards to Japan, I have a feeling this might be true for the rest of Asia as well. I can now go just about anywhere in the world and teach English now thanks to this one online course that only took me a few weeks to complete. I may have some disagreements about little things like having to conform to the ESA lesson plan format, but who really cares about something that insignificant when now I have a job that allows me to live in a new country? Not just any job, but I work in a university. I know plenty of other foreigners doing just the same who all took TEFL’s just like me. Would I Recommend ITTT’s TEFL course? Yes, I would recommend the ITTT TEFL course. I am not here to say that the ITTT TEFL is the best TEFL out there, because by many accounts it isn’t. I haven’t taken others, but Charlie did and we have met many others who had different certificates and definitely got more out of it. The thing is, I just took this one and it worked for me. If you are pressed for time and cannot do in-classroom activities, or you want to spend less than $500 to get a teaching certificate or a prestigious CELTA course is simply not an option for you, then go for ITTT. There are better TEFL courses out there that will teach you much more, but at this price level and for the piece of paper alone this is worth it for me. Just buy it, get it, and it will help you. That has been my experience. It is interesting to note that you can take ITTT Tefl courses in person in Tokyo too. Honestly, you would get so much more out of this type of course with the in-person lessons and opportunities to teach real Japanese people. That becomes experience you can talk about on your resume even. There are online only courses. The course I took with ITTT was just that. It suited me well because I wanted to travel around while I took the course and the online version is much less expensive than the others. But like all things, you get what you pay for. If you want the absolute best education, especially if you are a new teacher, an online only course may leave a lot of holes for you to fill in by yourself. If you have never planned a lesson before or taught a real class, this sort of course won’t really prepare you the best to do that. That being said, if you are an experienced teacher and just need the certificate to see a bump in your income or get a job at a particular academy, this is all you need. These will cost you a bit more and for good reason. You need to pay for facilities and a teacher’s time to teach you. But it may be really worthwhile if you want more than just a certificate. You want to really improve as a teacher. You can often get hands on experience by doing your TEFL with an English school in Japan or another country in Asia. There, you will be able to teach real students and have your lessons critiqued. Criticism is good. You want to grow as a teacher and learn from others. While I am all for experimental methods and new theories in the teaching field, for the most part, you don’t need to reinvent the wheel. Let more experienced teachers give you a framework to go with. It is just easier that way. Then over time, you can adjust it to meet your style and your classroom needs. 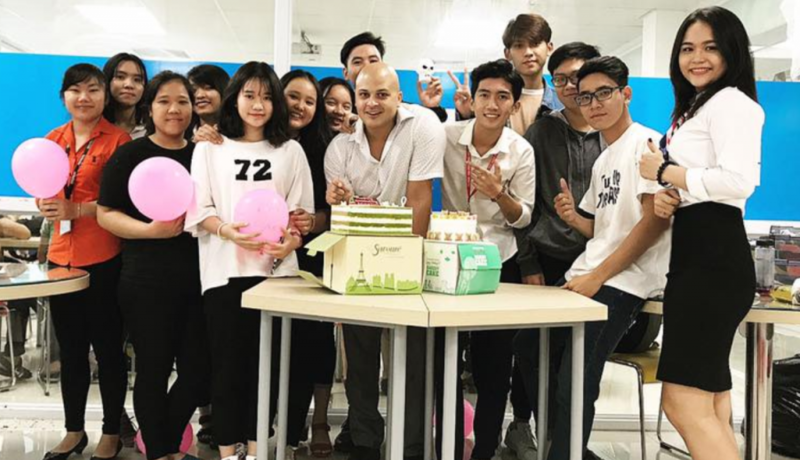 An offline TEFL course environment will be the perfect place to learn from real teachers in person. With all that said, check the price you will pay in total. Even if you do a TEFL in a less expensive country like Thailand or Vietnam (which would be real good fun while you are at it! ), if the cost is anywhere close to a CELTA, just go for the CELTA! We will write more on the CELTA and we have mentioned it in our recent book. Basically, a CELTA is much more rigorous, there are set standards for how it is administered by Cambridge University, the creator of the CELTA. Furthermore, it just has a better reputation overall. It is a lot more expensive than most TEFL certificates and it is much more time consuming, so it is not for everyone. Having some in-class training while you do most of the theory online may be the best of both worlds. You get the real world in-class training and you save money and time by doing the theoretical stuff online. For the online only TEFL, what difference does it make as long as it is….an accredited institution that provides an online certificate recognized internationally? We did some research and sampled courses from a lot of vendors, looking for courses that cover the materials in an accessible way. The following courses are the ones we’d like to recommend. Some of the links above are affiliate partners and any sales support the website. The above list comes from the Go Overseas blog. As long too as you get a minimum of 120 or 150 hours, you are in the clear with most employers. Any less and it may not be recognized as a legitimate TEFL certificate when you apply. Ultimately it will help you grow as a teacher regardless, not only by giving you a framework for teaching and some education science, but also by letting you get better jobs that will challenge you as an educator. If you can afford this option in time and money, go for it. If you can do one better and get a CELTA, do that. I know you won’t regret it. One last thing to consider is whether you will get employment support or not. Any in-person TEFL will likely provide this. I would ask this before you pay for a TEFL. Make sure they will help you get jobs or at least provide some support and recommendations. If not, go with a different one. Honestly, the TELF industry may be in a bubble. More and more schools are demanding the certificate as the demand for standards in the ESL industry grows steadily. Ironically, there seems to be little standards about what exactly goes into those TEFL courses. It seems there is very little standard about what makes a good TEFL vs a bad one. Thus, we cannot say for sure yet based on our research which one is the best. It is hard to find honest reviews as well online. Almost all reviews are written by on blogs like GoOverseas or International TEFL Academy which both are TEFL providers. While these seem to be very reputable organizations, this presents a bit of a conflict of interests doesn’t it? I did come across one site that appears to offer unbiased reviews. Have you heard of TEFL Course Review? Might be worth checking out before you pick a TEFL course. If I wanted to know which farmer has the best milk, I wouldn’t ask the farmer. Should you get a TEFL? Then yes, get a TEFL or better yet, get a CELTA. Do you think you should get a TEFL, or do you have one already? Has it helped you? Drop us your comments and tell us about your journey in Japan!